Durness is located on the north coast of Sutherland. 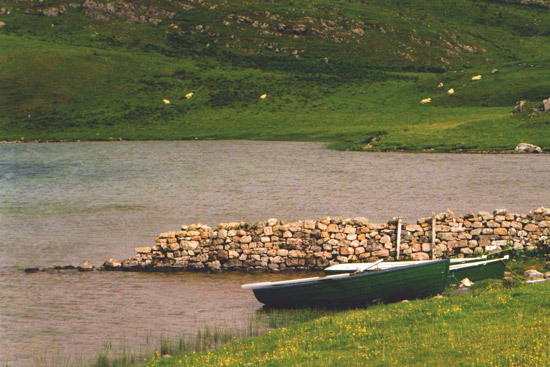 The Durness 'limestone lochs' were formerly offered by the Cape Wrath Hotel, and have a long and renowned angling history. 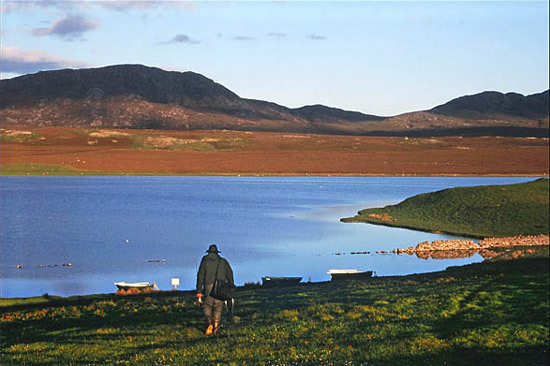 There are 4 lochs: Borralie (Borralaidh), Caladail, Croispol and Lanlish, which share similar characteristics: an alkaline limestone source; crystal clear water; generally shallow with a few deep holes; prolific insect and crustacean life; challenging and often difficult fishing; superb quality wild brown trout. 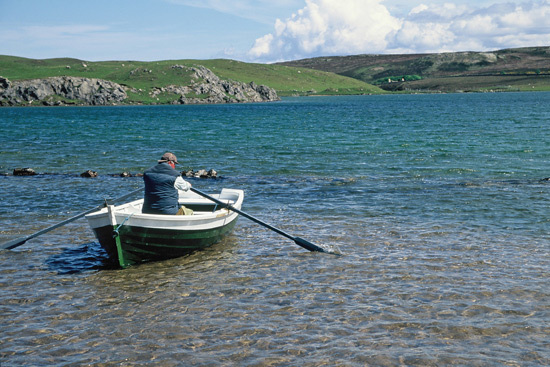 Fishing on the lochs is now controlled by the Keoldale Sheep Stock Club and Rispond Estate. The fishing pressure seems to have increased in recent years, but these lochs are still well worth a visit. 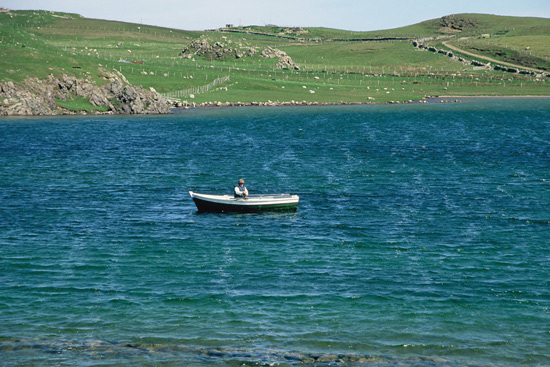 The fishing is mainly by boat, but Loch Borralie also offers excellent bank fishing. 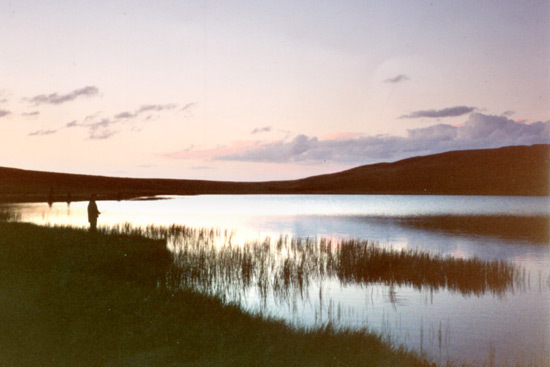 A small loch, less than 700m long covering 11.55 ha (28.5 acres) and lying at an elevation of only 14m above sea level. Of the 4 lochs, this contains the smallest fish, but still averaging a respectable 1 lb. The largest of the 4 lochs, at just under a mile long with a surface area of approximately 39.24 ha (97 acres). The loch lies at an altitude of 17m, and there is a large island in the middle of the loch separated from the East bank by a narrow channel. Excellent trout averaging 1½ lbs, but a few up to 3 lbs. My favourite! 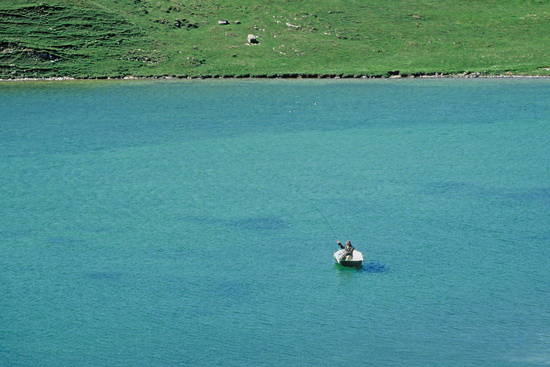 A good size loch of 25 ha (62 acres) lying at an altitude of 36m. Largely shallow at between 1.5 to 3m in depth. 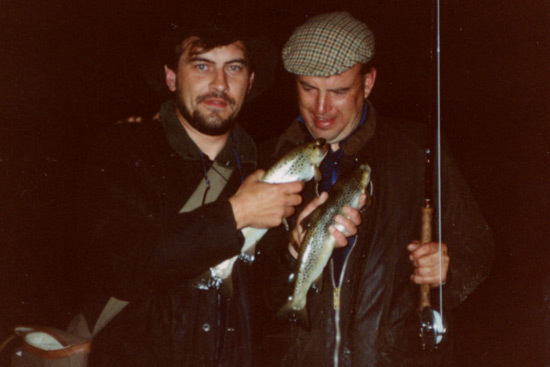 Excellent trout averaging over 2 lbs, with a few fish of over 4 lbs caught each year. The smallest loch lying at 36m beside the golf course. A dour loch, generally fished at night. A big fish reputation, averaging over 3 lbs, and up to 8lbs, but more likely to frustrate than reward. 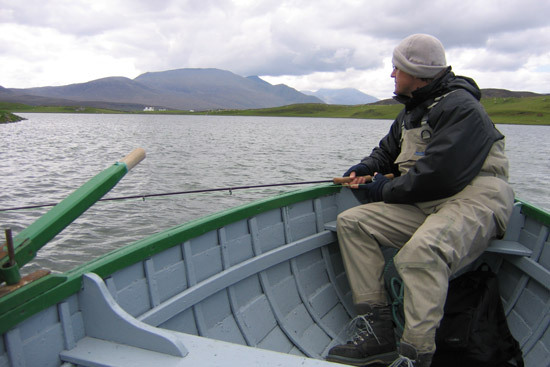 As the average size of fish increases, the numbers reduce and the fishing generally gets harder, so Loch Croispol is the most prolific, and although Lanlish produces huge fish, only a few are caught each year. Tactics for the main 3 lochs usually depend on the weather conditions. In calm conditions or light winds surface dry fly (buzzers) or nymphs will likely be most successful, in medium winds and a light to medium wave traditional Scottish wet fly tactics will probably be best. Strong winds are not desired as petrol outboards are not allowed. 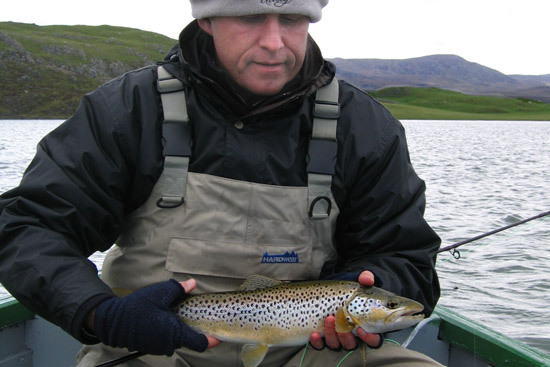 Follow TroutQuest's board showcasing trout fishing in Durness and north Sutherland.